← Rajapakse opens new office with new vision!! Posted on August 9, 2016, in Sri Lanka. Bookmark the permalink. 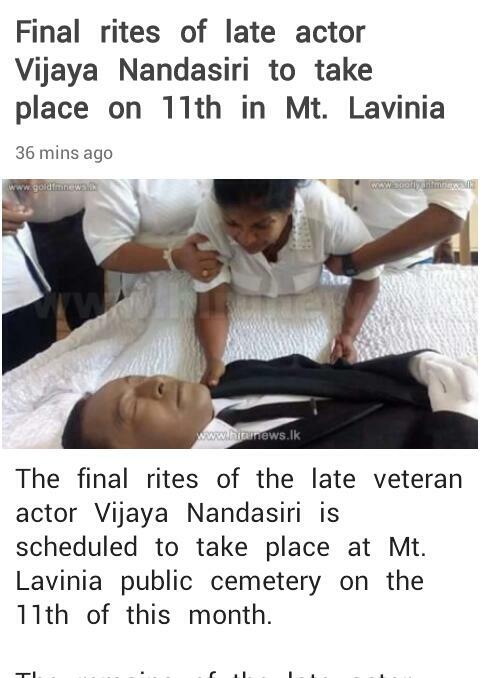 Comments Off on Final rites of late actor Vijaya Nandasiri to take place on 11th at Mt. Lavinia.